The first load out post of the year. Not much has changed since last year, and there are only two things that are different from the last time: a new Hobonichi Planner and I once again are lugging around my huge A4 notebooks, since the spring semester started a few weeks ago. I still carry my four pens: Lamy 2000, TWSBI 580AL, Pilot Metropolitan & Retro 51. The TWSBI have gotten itself a permanent place in the pen holder of my Midori Travelers Notebook. There are above all two reasons for this: it holds enough ink for at least a long study session and most importantly I have never seen any ink leak into the cap. That is something I really want to avoid with the pen I carry in the thing I am most likely to bring to a meeting. Things are more or less the same as before. The Pilot Metropolitan have made it into more of a regular schedule, but Pilot should really make a converter for it that holds more ink. The same as last month, but I might order a ink with a very radical colour when I order more notebooks at the end of the month. I moved into my new 2016 Hobonichi Planner at the start of the month. I don’t have that much to say about it, but it is a fantastic planner. My MTN is still being used every single day. It is the thing I bring with me everywhere, and it is also one of the few things I bring when I’m going “light”. And my Field Notes use are ever increasing. 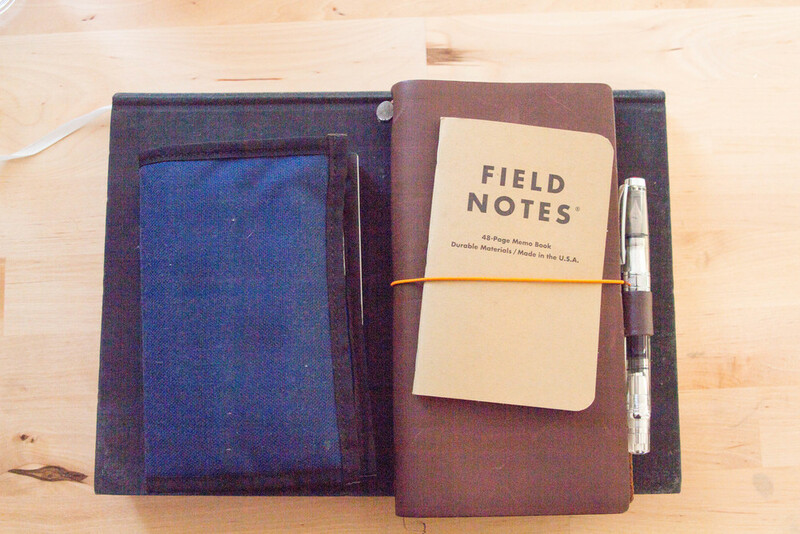 I’m going to continue to use Field Notes for now. But I might move some of what I have been using Field Notes for over to my MTN in the future. I haven’t made up my mind yet. The reason, for those who are curious, is that they are larger and can fit more stuff in them and that I more or less always carry both with me everywhere. I have also started to carry my huge A4 notebooks around again. They are huge, as you see in the pictures at the top. I’m not sure what the brand is, but I remember that it was impossible to find a link for them the last time I tried. I buy them in local book stores. They are large, something I like when I am studying, and they have thick paper, so drying time with my fountain pens aren’t a problem.